This is our irregulary maintainted news page. Sexbomb Nagasaki is loved by both the media and freaky incidents. The Great Artistes of Punkrock make great news too! Below you will find some of the things the media reported about and some things the media were to lazy to report about. For forthcoming gigs look under the shows. 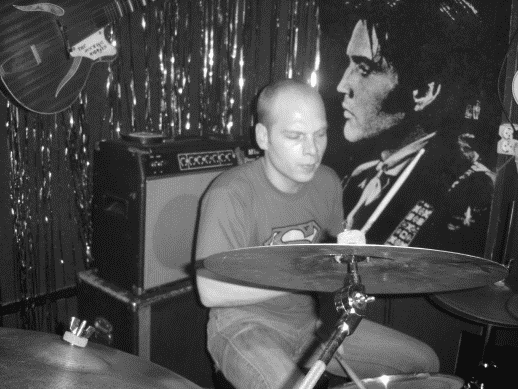 At the Sexbomb Nagasaki gig in the Maloe Melo on the 24th of november 2004 the ghost of Elvis showed up. Both the band and the audience were flabbergasted by the presence of the King. Fortunately the event was captured by camera.